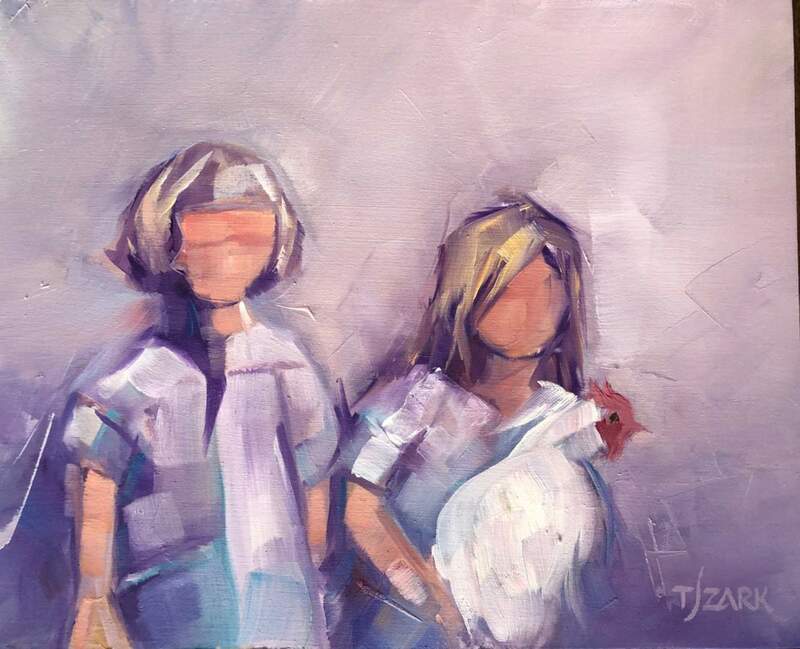 “Little helpers” by Mancos artist TJ Zark. Zark’s work will be on display at Olio in Mancos for two months. “Morning Stretch” by TJ Zark. Zark’s work will be on display at Olio in Mancos for two months. Mancos artist TJ Zark is still finding her brushstroke, she said. For a painter, finding your brushstroke is perhaps akin to a writer developing a voice. However, moving to Mancos has allowed Zark to pursue her artistic endeavors, said the transplant from Nebraska and later the Silicon Valley. 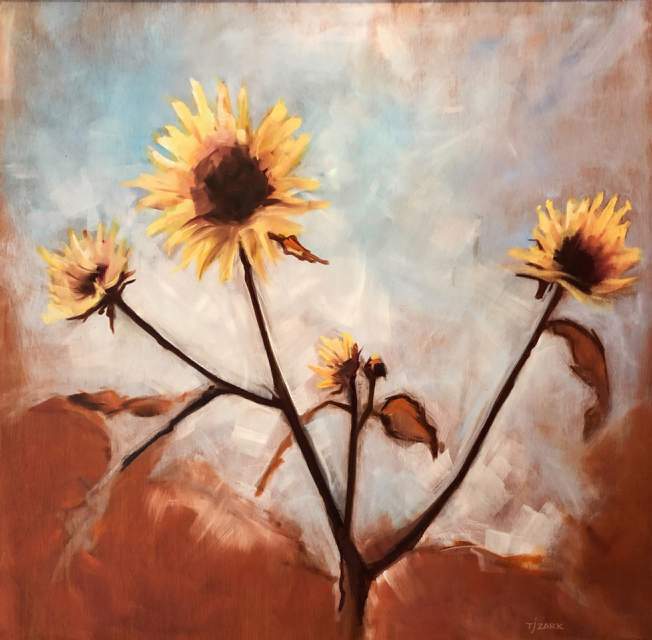 And despite her “emerging” status, her oil paintings will be showcased at Olio for the next two months, paintings with a strong ranch-like theme running throughout. “It’s about holding onto forgotten times and places,” Zark said. Zark grew up in Nebraska, in a place far from the nearest airport and with a lot of cattle. A place reminiscent of Mancos, she said. She worked as a software producer and web designer for much of her life, with clients such as Coca-Cola and the Department of Defense. At one point, she worked for the Chinese Ministry of Education on an animated series for students. For about 10 years, she lived on a ranch in Nebraska, flying out for work when needed. Her ranch days inspired much of her artwork, she said. When you work in an office, a bad day at work fades away by the next week. “But a bad day on the ranch is something you tell stories about for years,” she said, recalling days out searching for calves in chest-high snow or dealing with a burning tractor. “A bad day on the ranch is awesome,” she said. Zark lived in the Silicon Valley so her partner could take a job with Google, which was a “crazy experience,” she said. But the hordes of “nature-deprived,” aggressive people came to grate on the couple, and they were ready to leave that life behind after a time, buying property in Mancos in 2012. “I think the arts can be like that,” she said. Zark has since turned to painting, and it’s taken on a sort of self-discovery. As a child, she tried piecing together family history through old photos of ancestors and old farms. 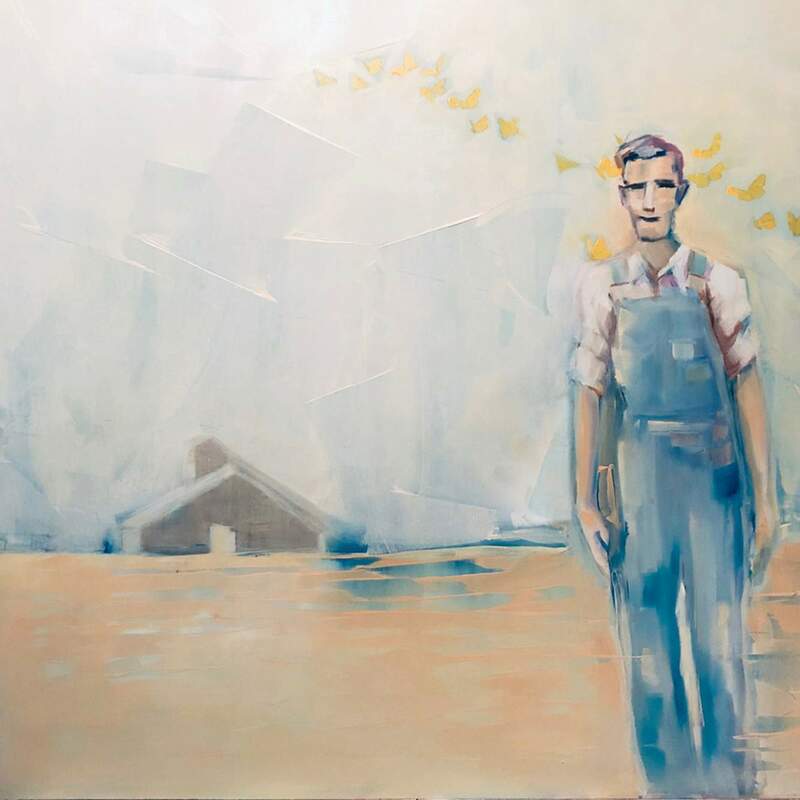 She no longer has these photos, though – her sister “got custody.” So the photos she now paints off of are of other people’s families and landscapes. She builds her own stories off these images, attaching herself to new characters. Her style is abstract, her brushstrokes (despite still being “found”) broad. She doesn’t like to include facial expressions on her paintings’ characters – that’s for the viewers to decide. And she’s drawn to images of ranchland communities. When: Opening reception 4-6 p.m. Saturday. Exhibit will run through April 9. Where: Olio, 114 Grand Ave., Mancos.